Our online Alcohol Awareness classes are an ideal resource to meet the needs of a court, legal, employment or other requirement. They are also beneficial for personal growth and education. Our online classes can be taken from any computer and are available 24 hours a day, 7 days a week. They are educationally based and aimed at teaching skills in better understanding the effects of alcohol, drug and substance use, abuse, dependence, tolerance, withdrawal and recovery. Finding a classes can often be difficult do to timing, work and family commitments and other life obligations. Our online classes are an effective, low cost and reliable way to take a alcohol awareness class. Classes are completely self-paced and can be taken as slowly or quickly as you wish. A certification of completion is provided at the end of every course, free! Alcohol addiction and abuse is often misunderstood. Our online classes teach skills to better understand the harmful and damaging effects alcohol has on ones life, health, family, employment and other aspects of life. Get started today! With an "A" rating from the Better Business Bureau, it's no secret that AlcoholDrugClass.com is the most trusted online provider of alcohol awareness classes. Our risk free guarantee and superior customer service make us the smartest choice for completion your class! When you complete your Alcohol Awareness Class we will provide you free of charge your Certificate of Completion. We process certificates fast and they are mailed for free. Instant downloadable copies are also available. Find an alcohol awareness class in your state. Certificate of Completion Awarded, Free! Affordable, No Computer Skills Needed! Proof of Enrollment Downloadable Instantly! *We stand behind all of our products and programs. While many participants take our online minor in posession classes for personal or occupational reasons, others may take them for a court, probation or other legal requirement. If you are not completely satisfied with the quality and acceptance of our programs for a court or legal requirement, we will refund your money in full with written proof of decline. 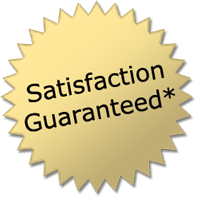 Click here for more information about our Guarantee. These are educational courses only. They are not a substitute for medical or psychological advice or counseling. It is your responsibility to confirm with the judge, probation, or your attorney as to whether a distance-learning alcohol program will meet your requirements in your state or county.